China said on Saturday it was willing to offer assistance to Pakistan to help it weather its current fiscal woes but that terms of such aid are still being discussed. 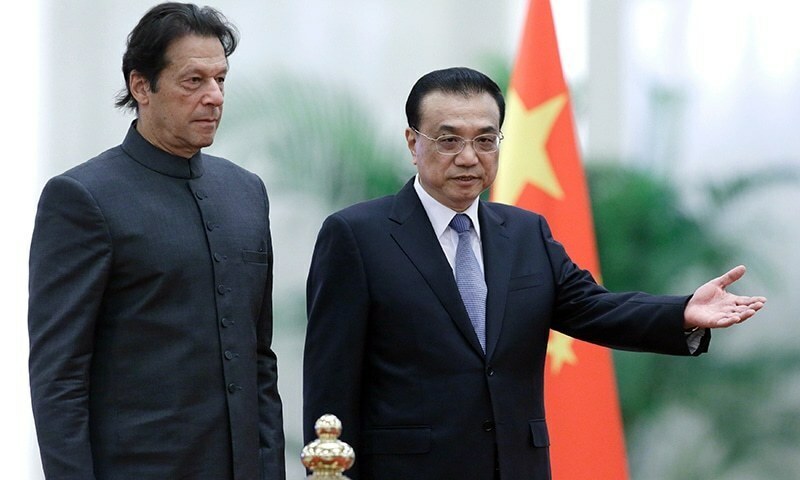 That followed a meeting in Beijing between Chinese Premier Li Keqiang and Prime Minister Imran Khan, who met the previous day with Chinese President Xi Jinping. 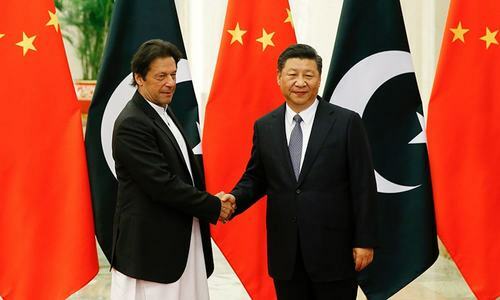 Following Li's meeting with Khan, Vice Foreign Minister Kong Xuanyou said the two sides had “made it clear in principle that the Chinese government will provide necessary support and assistance to Pakistan in tiding over the current economic difficulties. “As for the specific measures to be taken, the competent authorities of the two sides will have detailed discussions,” Kong told reporters. And despite Pakistan's looming balance of payments crisis, Kong said there were no plans to scale back the China-Pakistan Economic Corridor (CPEC), although he did say it would be altered somewhat to “tilt in favour of areas relating to people's lives”. Media reports had earlier said China was preparing a $6 billion package of aid, including loans and additional investment for CPEC. The issue did not come up in opening remarks between Li and Khan. Li said Prime Minister Khan's visit would “further consolidate and develop the firm, enduring ties between our two countries”. Khan responded by saying that CPEC had evolved from the concept stage to showing tangible results “on the ground” that have “caught the imagination of the people of Pakistan. “We feel that this is a great opportunity for our country to progress, to attract investment. It gives us an opportunity to raise our standard of living (and) growth rate,” Khan said. Though China is Pakistan’s closest ally, Khan’s newly elected government has sought to rethink the $60 billion CPEC that Beijing calls the flagship infrastructure programme in its vast Belt and Road Initiative. Pakistan seeks to amend the CPEC to focus on socio-economic progress besides infrastructure development. 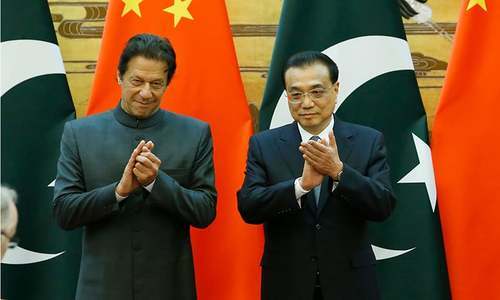 A report by the South China Morning Post quoted Cheng Xiaohe, deputy director of the centre for international strategic studies at Renmin University, as saying that while China would offer Islamabad financial assistance, it was the Pakistani government's responsibility to resolve its economic troubles. “China can’t replace the Pakistani government in taking care of its people,” he said. The academic emphasised that Pakistan must also look towards other sources for help as well, saying: “Pakistan must seek all kinds of assistance”. Pakistan’s foreign reserves have plunged 42 per cent since the start of the year and now stand at about $7.8 billion, or less than two months of import cover. Officials say the recently announced $6 bailout package from Saudi Arabia is not enough as Pakistan still have to approach International Monetary Fund to avert a balance of payments crisis. This will be 13th rescue package Pakistan plans to receive from the lender since the late 1980s. IK thinks he is still a cricketer. Like toss, he thinks every one will decide whether to give or not to give. Unfortunately the coin here stood on the edge. Neither head nor tail. Let's hope PM Imran Khan's visit to China will produce tangible results and that CPEC and other proposed projects will speed up and completed quickly. Indian media reported tht Chinese readying $6 billion aid for Pakistan. Use dollars carefully and come out of current account deficit. No aid, but loans. Chinese are shrewd businessmen. Chinese helping? ReLly do you believe this? Please grasp the opportunity and turn Pakistan into a developed country.Sincerity, hard work and totally focused with vision will surely make us proud. Chinese are used to lavish 'considerations' given by Sharifs. This may not be the case Imran Khan. Nothing surprising. @Ravi, It is obvious that Indians are not too happy after their 'friend' Nawaz was removed from the government. More talks to tighten the noose ?! @Kamal , The Chinese are very hard to bargain with. Unfortunately our teams, both past and present, hardly did their requisite homework before negotiating terms for the CPEC agreements concluded with the Chinese. That this route is going to be the lifeline for the Chinese is known to everyone who has even a little sense. It should have been proved to them and they should have been persuaded to give Pakistan a fair share of the earnings instead of a meagre seven percent only. There may still time to renegotiate these terms. Of course, they could be pacified by offering them a minimal return on an yearly basis. Anything over and above that should have a better percentage of returns for Pakistan. This does need consideration to be fair to both sides. Saudi's 6 billion aid deal was done in just one meeting without much terms and conditions but china wants detailed discussion to make sure they will get high loan interest rate with short time loan repayment duration. China means only business, unfortunately Indian and Pakistani are more sentimental. Don’t know IK thinking, IMF is the best option which gives opportunities to improve discipline n Systems, delay in days will cost huge. Keep ego apart & introspect. @Kamal , what gave you that idea? China is a business brother only! There is no free money in world, everything penny is coming with some ifs and buts which ruling elite don't want to share with awam. The more you are in trouble, more it's and buts will add in money coming. That will again a problem for future. IN MY OPINION IMF PROGRAM IS MUCH MUCH BETTER FOR COUNTRY AS IT WILL BRING DISCIPLINE IN SPENDING. Don’t know the thinking of IK, delaying IMF is nothing but loosing opportunities to lay down disciplines & Systems, increase in burden day by day, but looks to be EGO matters. So, other than a few meaningless memorandums of understanding; nothing came out of this trip. But CPEC was full of corruption when Nawaz was in power. What happened $uddenly? Why is he there if more talks are needed???? All such discussions should have already occured! Are chinese real friend of Pakistan. Slowly it's revealing. They only know their own interest and business. Pak people make fool of themselves thinking them as friend. If you neighbourly trolls were genuinely worried the way you pretend to be then you would have supported Imran Khan's hand of friendship! Pakistani and Chinese leaders have been meeting so frequently, what is there to be further discussed ? @Ravi, Think like a toss he wouldn't be PM or wouldn't have build the cancer hospital! @Kamal , so quick to judge! The operative phrase is "more talks needed". No one rides a sinking boat? @Kamal , Thats what IK wants us to believe, but what are Saudis saying that is important. China seems to be trying to extract more favourable terms over the existing ones on CPEC in lieu of loans or even before committing for it. 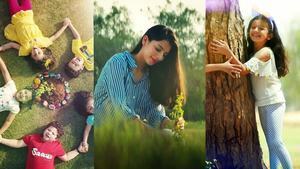 It is nothing but taking undue advantage of ones precarious condition, that too in the name of friendship. Were they not supposed to be our all weather friend ? Looks like China were offering high interest loans, which IK refused. "It turns out Saudis are more brotherly than Chinese. No offense" @Kamal, No, Saudis gave 12-month credit that is all. They will let Pakistan pay for the oil after 12 months. But the Chinese see Pakistan as a business and strategic opportunity, not a friend. @Dr. Ali Canada, - what a poor despicable comments from an educated person? Looking for aid is short sighted. China boom and CPEC focus should be cooperation with Chinese companies, learning skills and technology transfer. No Chinese company should be allowed to do the project in Pakistan without a JV partner in Pakistan. For a long time Chinese followed this strategy for companies to China for business. Learn to stand on your own feet and use the CPEC to export more products. China must buy Pakistani products rather than buying Indian & Afghani products because by buying Indian & Afghani products China is not only helping enemies of Pakistan but it Is also helping its own enemies. IK is doing his sincere efforts to bring back the nation on its feet. His vision is right and we should not only give him good time but should also participate in his efforts. He is a sportsman and looking towards the victory. @Ravi, you don't need to interfere in our affairs...You can look at your own Country problems. ..Just because he is doing well you are jealous ?. Just a few days before some minister in delegation disclosed that very good news will come soon. All of a sudden what happened? @Kamal , Brotherly??? when they give you free money? Chinese are very hard working and expect the same from their own citizens in return. Why it's so difficult to understand..its debt trap. @Adnan Mazher Khan, As a matter of fact, no money was handed to PML(N) government by Chinese. The projects have been on a turnkey basis where Chinese companies were given contracts and paid by the Chinese government. Both political parties PML(N) and PPP thanks for their incompetency had little or no leverage within or outside CPEC. There is no free lunch with Chinese. They will want something. Let's see what that is. Pak must play cleverly. Increasing debt could be disastrous for us. Like Sri Lanka and Africa..
@Justicefirst, Pakistan is a nation of hardworking people but our successive governments and incompetent bureaucracy that has brought Pakistan to such level. What do you have to offer us in return?! Do not seek help from China, please. China is not a friend and will never be a friend. Work out a different solution. China will buy your country and you will never get out out of them. Please stop. To be honest, I do not trust Saudis and Chinese. Let stick with the IMF to get out of this mess once again. Words from Saudis and Chinese are just that words. Wish Imran has brains to understand these professional political statements from foreign leaders. How about disclosing CPEC before we commit to more Chinese "investment"? Remember, like banks, no country will give loan before making sure conditions are agreed and liabilities defined. This is exactly what world bank and China is doing, this is a normal part of negotiations before agreeing loan conditions. So don't worry, deal will be agreed soon that will benefit both Pakistan and China - don't take notice of opposition parties and corrupt mafia, who are the real culprits of our current financial mess. The financial weight of CPEC will doom Pakistan, and brotherly love will turn into Big Brother China, who will call all the shots. Just look at the recent experience of Sri Lanka and countries in Africa who are realizing that economic and infrastructure "help" from China comes with strings, nay heavy chains attached, and is designed to benefit China alone and not the supposedly beneficiary country. It is still not too late - scale back CPEC to areas where it benefits Pakistan and do not allow China to dictate terms. Its evident that China will give money but the terms will be strict. Hope they are made public. @bhaRAT©, Imrankhan’s hands are tied by Establishment, so nobody will believe in friendship with hand shaking! May be i am a daydreamer. But its time for united states of south asia! Where each state have autonomy over practice of religion. With unified economie and foreign policy. Kashmir is self autonomus state within indian and USSA constitution. With this way indo pak can use its resources for increasing HDI. @Xeee, international relations are based simple self serving interest dear friend. No one is permanent ally or permanent foes. A country like Pakistan has to think about itself and its national interest first. Loans and other financial assistances are temporary relief. More talk needed to define terms and conditions on repayment. Even Saudis have not given a cent. ... Chinese are mush smarter that Pakistanis think. more loans to pakistan? arent they already getting billions in loans from saudis?? how is it you people think loans are a good thing? do you not pay them back in ur world? @Sameer, they always say the same thing. How long can China or Saudi Arabia or some few other friends keep on helping us, time after time? Imran and Co seem to be totally lacking in any real, practical ideas to help Pakistan out of it's economy plight. Thanks for the help Iron Brother. I think this matter of balance of payments required some deep & logical thinking on part of the government. Had this approach been measured and precise from the drawing board, I’m sure other avenues would have been explored and adequate solutions found. One should be reminded that in this geopolitical era, there are no true friends or enemies but only strategic partnerships. All decisions are taken to serve a purpose and out of interest. Money loaned to foreign governments is not as simple as grant obtained from CBFS. There is always a price to pay! Moreover, it is easier to enter the debt spiral than to come out of it as these payments will be a regular occurrence and the scale of debt will only increase with time! Therefore, it would have been wise to approach Iran in this moment of crises in order to work out a solution rather than just for the purpose of loan. Where there is will, there is a way! @Kamal , nobody is brotherly or not, its their own interests and definitely overall relations comes into the picture. PMIK will avoid IMF altogether and that means his and his teams hands wont be tied. Way to go. China means no aid/grants. But only loans which as to be played back. One must look in SriLanka, where chinese got control over Hambantotta Port, because Lanka govt could not repay loan.The same or even higher risk is with Pakistan, where intrest rates are equalily high. Better choose Saudi way or IMF way. @Kamal , Saudi’s are short on friends and bought one for a promise of 6 billion green backs. Instead of port and highways China should have built roads connecting cities and towns, and school, colleges and hospitals. In 5 years the face of Pakistan would have changed completely. @ExMohajirinUK, One must trust first their compatriots! Then the rest follows! In the case of Pakistan, it is the other way! There are no free lunches any where in the world, before giving loan to a fragile and weak economy financer has to think twice. Get matured, you blow trumpet before the game started. We know Chinese well, our business with China is going to cross $100 billion, why would they block their funds in a country which already bankrupt? Your iron brother and all weather true friend showed you their real face. Now try some other country. China also has to keep in mind the objections of Pakistan's other giant neighbor with whom it has a massive quantum of trade. China is playing a balancing act here and cannot be seen to favor one party over the other. Thanks to Pak's 3 friends China, Saudi and Turkey, they continue to manage their affairs. Not many nations in the world are, as lucky. Nothing free. All countries are working hard to earn money . You don't lay conditions on someone who is throwing you a lifeline! The Chinese must evaluate correctly the debt repayment capacity of Pakistan and then grant any new loans. Even if they want to lend, they should make up their mind to write-off in future some of our debts for the greater cause of establishing a great commerce route which will benefit them and us. My sincere suggestion: Do not enter into deep debt trap from any single country, be it US or China or Any other. From Sovereignty point of view, loans from International organisations like IMF, World Bank, ADB etc is much better to be handled, however worse is its terms and conditions. Hi Sami, good idea, you are elgible to be a economist. We need to understand the issue with a clear lenses. First is purely economics: why would any one give money free? Answer is they expect something in return. Not now but could be few years down the line. In this case, I feel China's CPEC policy is the major driver. Chinese will get back the money in the form of more business via CPEC. Second one is purely social: why would Chinese invest into Pakistan? There is no cultural, social or religious similarity between the 2 countries. Since China is more interested in CPEC as strategy, it makes more sense for them to learn Pakistani culture. They would encourage more people to people interactions between the 2 countries. Third one is political: China wants to build their dominance in asia and they see India as their major challenge. By leaning towards Pakistan, the country that has fought 4 wars with India, China thinks it can reduce influence of India in the region. That's why China will always help Pakistan. @SHAHID SATTAR , today in India it’s only BOT projects in ten years that’s why Chinese are not interested, from 2012 locals in every category should be 70 percent minimum from 2014 make in India materials should be 75 percent minimum which will eat away Chinese profits and Govt as a policy does not take loans for projects which are going to be issued by the same country banks its like Chinese cannot lend and do the project , these are certain barriers Pakistan needs to put . Have balance of ease of doing business to socially relevant to our society. China is put off by the millions on the roads, recently, protesting against Government of Pakistan. If Pakistan agrees to set up 're-education camps' China style, for such people, would the Chinese be kinder in their 'Terms and Conditions' for the mega-big loans? @Peacelover, oh really? I thought china was your all weather iron friend? All said and done, I feel for Imran Khan. He reminds me of Modi during his initial days. We, the people, expect immediate visible results. He seems to be genuinely trying for the betterment but the circumstances are not in his favour. He will surely put Pakistan on the right track. The final outcome depends on the support he will receive from national and international community. Both seem to be happy with the mess Pakistan is in right now. I am asking last time..Where is the 6billion $ cash from iron brother? You make it sound like IK is negotiating from a position of strength. Does not look good. Paks should not gift allegiance from the generosity of heart alone. First it was the US, now China. In future all transactions should be at arms length. Than for what they have invited IK? @RB, What is Turkey part in Pakistan's economic bailout? Please elaborate. If only the Chinese were interested in playing cricket, we could have signed a sixteenth agreement with them. Learning Process for those who think everthing is unconditional. It will be a game change no matter what. Loans are fine as a short term solution but Imran Khan needs to have a long term plan. The number one thing investors look for is political stability. When govts are changed every 4-5 years why would anyone want to invest. Keep the good work IK and PTI we are all with you. CPEC will continue. SinoPak Iron Brothers 4 Life! IK where is the looted money. NAB needs to speed up their process and recover the looted money from corrupt elements of the country. Pakistan will not need any help from out side. I wondered what is he discussing with the world leaders, he hardly knows anything at all other than cricket. Seems Pak is in China debt trap like some of . African countries. Better go to IMF and get required amount with fair terms. @AW, Good one. Really appreciate it. In short chine wants complete surrender? I just hope some day Pakistan will understand that China is not the solution. It is a dragon and will escalate your problems. I just hope someday Pakistan will not fall prey to them and give away everything in return to the debt.China is targeting financially weaker countries so they fall into the debt trap and cannot recover. Do not underestimate Pakistan China relationship.Things need to be planned well before deals are made final. Imran Khan must have now a clear picture about embezzlement by NS and party in CPEC. Everything will be finalized in the next meeting. In diplomatic language more talks means what u surrender. China is not interested to take back loans but she is doing just like East India Company in modern times.100% damage has already been done. Dragon has overpowered completely. Now only option is to dance on her tunes. Next step she will install her factories, Infrastructure in SEZ's and we will thump our chests.Through these factories she will exploit our natural resources again we will thump our chests.No end to this game. Chinese are hard nosed businessmen ....No emotions. Much more talks will be required...for loan repayment. in CEPC chinese are building port and connecting roads for their own use,using Chinese equipment , manpower and material.But loan is to be repaid by Pakistan. I fail to understand this arrangement. @Kamal , Do Brothers mean keep giving money without any accountability? No wonder that the other brother becomes good-for-nothing! @Ravi, The reason coin stood on the edge because we had horrible corrupt leadership in the past. It will take sometime to built the trust. Only IK has the capability to do so. He needs some time. He is battling in many fronts. "More talks" , we all know what China wants, it longer plays nice, it wants something in return now if you cannot pay up, strategic assets to be exact, they are doing this in Africa and in the Pacific. Gone are the days of being nice. @Kamal , no, they are not, their "attached strings" are longer than China's. Time to wake up Kamal sahib. 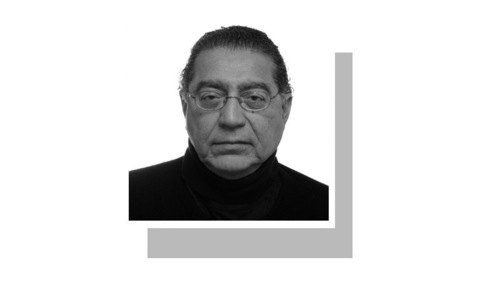 IMRAN’S CHINA VISIT : A HUGE FAILURE Three take aways from the visit:  For over a decade Imran Khan had been promising the nation that if he comes to power he will get the CPEC projects audited to find out who has got kick-backs. He also promised to re-negotiate the CPEC projects if he gets into power. The Chinese have flatly refused to allow Pakistan to have a re-look at CPEC projects. They have said that there can be new add-ons to the CPEC but no re-opening of the ongoing projects. Pakistan will never know who got the kick-back in CPEC projects  No commitment for any financial package from China yet. During Imran’s visit to Saudi Arabia a financial package of 6 bn US dollar was formally announced. No such announcement during Imran’s visit to China. “China will provide Pakistan with economic aid but more talks will take place to fix the details” a senior Chinese diplomat said. This means conditions to be attached. It will bring extra pressure on Pakistan to negotiate IMF loan when the IMF team visits Pakistan on November 7th. Trade in respective currencies. Pakistan imports from China are of $ 12.3 billion where as exports to China are of about $ 1 billion. Where would Pakistan get Yuan worth $ 12.3 billion from to pay for imports? It has to be from the open market against dollar. Back to square one. IMF, Saudi and China all for funds or loans, whoever gives are friends and rest are not. Introspect and build indigenous economy, cut costs on strategic assets and build market (What Pakistan can sell ? ).